Certificate Frames for your University of Wollongong Degree. Our University of Wollongong Degree Certificate Frames Are Custom Made to order. Custom made to fit your University of Wollongong Degree. 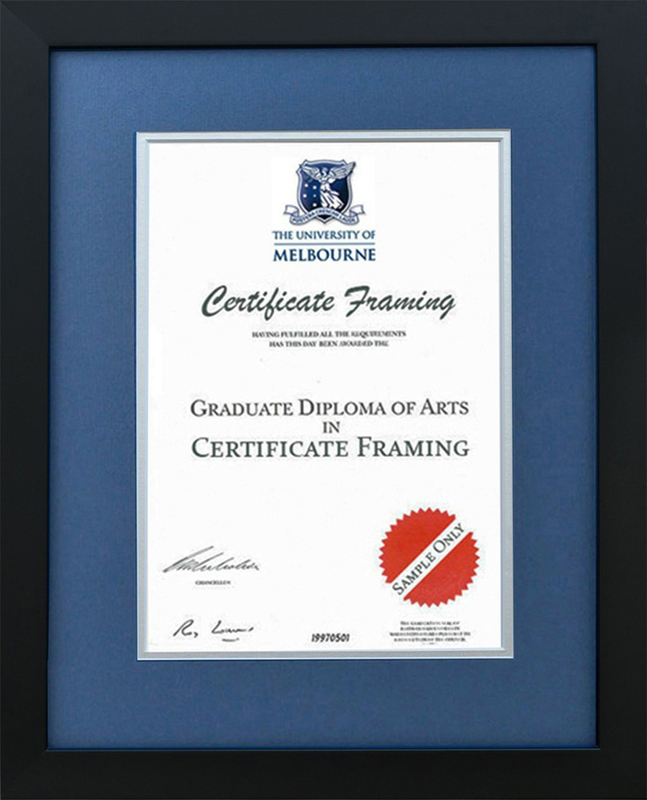 BEWARE of Cheap Certificate Frames for sale at $59, they are imported from China and poor quality. 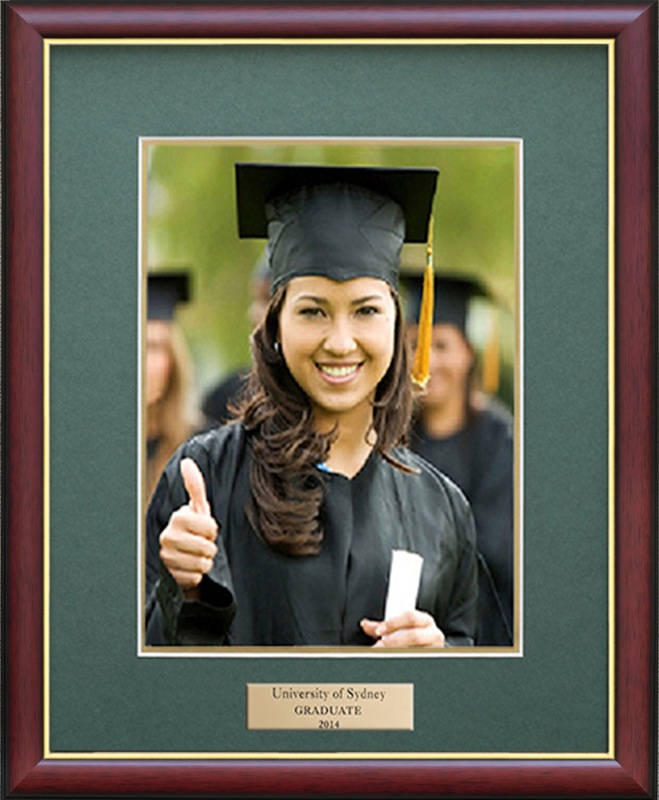 We Guarantee 100% Quality: As a premium custom framing business, when we make a certificate frame we use the highest quality materials available. 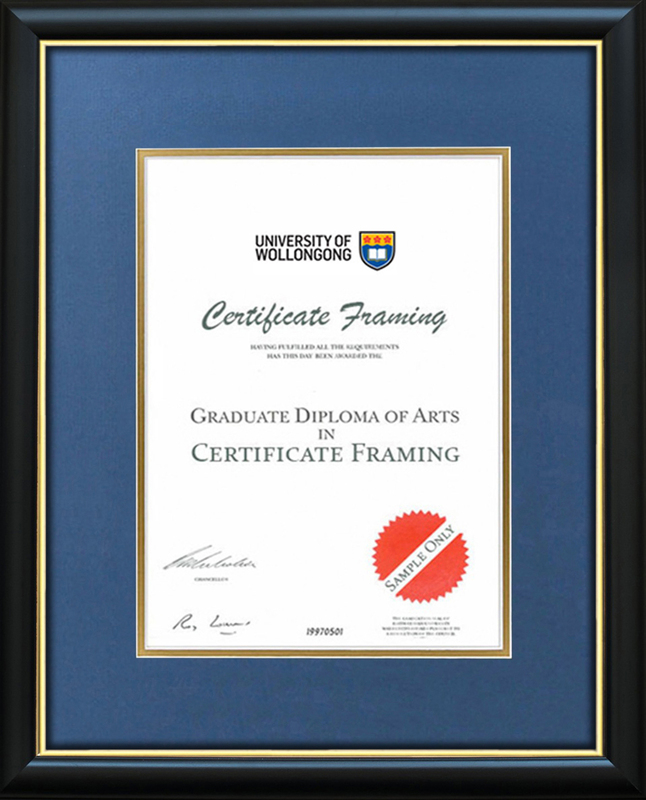 The Premium Italian Timber, Double Mats and Acid-free Materials we use will help preserve your University of Wollongong Certificate for a lifetime. When attaching your University of Wollongong Certificate to a mat (often called a border), it is important to only attach the Certificate from the top. This is called hinging and it ensures your certificate sits flat when fitted to your certificate frame. The reason for this is that when your frame is hanging on the wall it picks up moisture and condensation from the air and by hinging your University of Wollongong Certificate it has room to expand which will ensure the certificate always appears flat.